A small group of residents at Mountain View Care Center is warming heads of newborns and the hearts of their parents with special gifts of crocheted beanies. 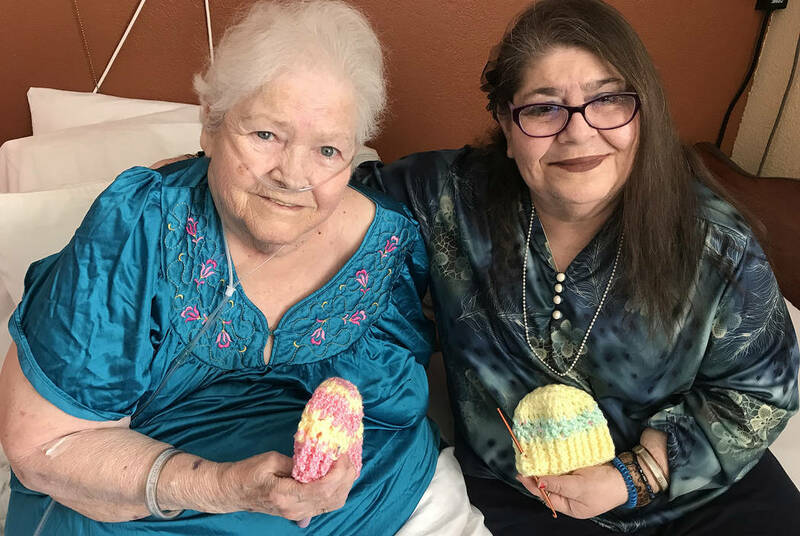 (Hali Bernstein Saylor/Boulder City Review) Mary Jane Childress, left, and Lynn Blake, roommates at Mountain View Care Center in Boulder City, are members of the faciity's crochet club, which is making beanies for babies at area hospitals. Childress, who has been crocheting for 60 years, serves as the group's teacher. The hats are made by members of the center’s crochet club and donated to local hospitals. Their first group of 20 beanies went to Dominican Health, St. Rose Siena Campus, and the group is getting ready to present the next 20. The club formed after one resident showed a picture of her great-granddaughter, who was born premature and was wearing a pink beanie. 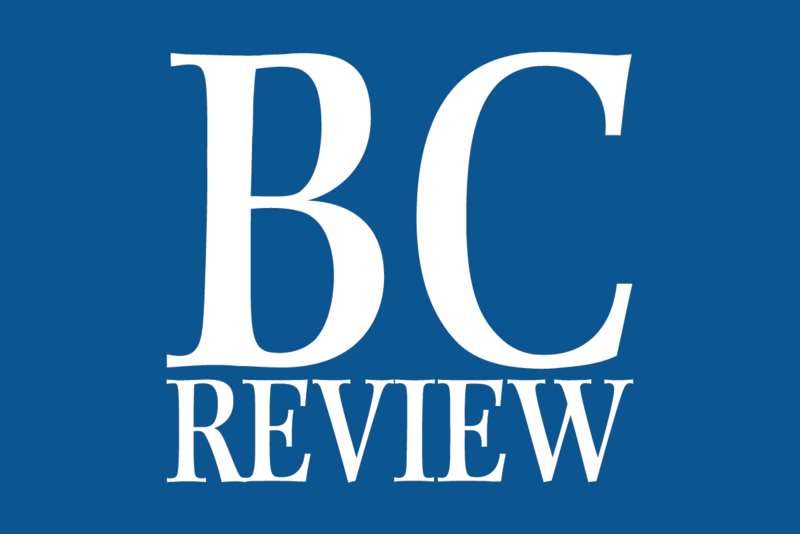 It sparked an idea that was fueled by the pregnancy of some staff members and the granddaughter of facility’s activities director, Donna Bird. Resident Mary Jane Childress, who has been crocheting for more than 60 years, agreed to lead the group and teach others how to crochet. Bird said learning new skills, especially something that combines math and dexterity such as crocheting, is good for older people as it helps stave off Alzheimer’s disease. Childress said she started crocheting when she was 17. The mother of a boy she was dating taught her and she has been making things ever since. Childress said crocheting items for babies is her favorite thing to make. It takes her about two and a half hours of steady work to complete a beanie. Blake, who has been knitting “since I was knee-high to a grasshopper,” said she has enjoyed learning how to crochet and gets excited whenever she completes a project. She admits she’s a lot slower than Childress and is especially cautious because she wants the beanies she makes to be perfect. One of the things she likes about crocheting is working with different types of yarn. Blake said she is working to improve her cross-stitch so she can use a fuzzy yarn to accent the beanies, a task that Childress has been doing. Most of the yarn and needles the crochet club is using has been donated to Mountain View; donations of yarn are welcome at the facility, 601 Adams Blvd.